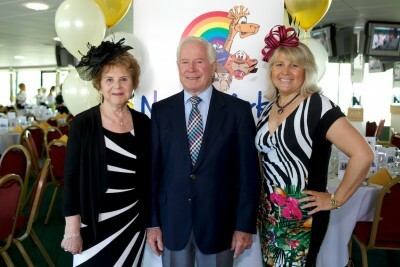 Owners of Chepstow Plant International, the Hayward family from Chepstow annually organise the wonderful Royal Ascot Gold Cup Lunch held at Chepstow Racecourse where guests enjoy a flutter and of course a best hat competition. Building the event over a decade the 2015 Lunch raised an astonishing £38,000. The Haywards have become so committed to our charity that both Eddie and Julie give their time to volunteer as Trustees. In 2015, Eddie and Julie were appointed as Chair and Vice-Chair of our charity respectively.